It’s not often that someone can look back and remember the moment when they realize what their works mission is, and their motivation for that mission. I am one of the lucky ones. Thomas Grand walked into my office twenty years ago complaining of tinnitus he had heard every hour of every day since his service duty in Viet Nam. He had been to many other offices and had found no one who would take his tinnitus seriously. I could hear the anxiety in his voice, but had no real answers to give him. I promised him at that visit that I would read all that I could, learn all that I could, and together we would try all that we could, to help him. It wasn’t easy. It wasn’t quick. Over the next few years we tried magnets, medications (with his primary doctor’s consent), maskers, “ear pills” and more. Then I read about a new treatment out of Australia called “Neuromonics Oasis. After much research, I flew out to the East Coast to be trained in this novel treatment. Mr. Grand agreed to be my first patient. We were both excited, nervous, and a bit apprehensive. But in the end, it was the answer. Mr. Grand’s tinnitus awareness went down significantly. At first, we were both surprised, however now, after many more patients who have been successfully treated, I am a firm believer in the treatment. Neuromonics treatment is not magic. 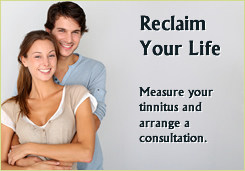 It is a neurologically based program to habituate your mind away from hearing your tinnitus. I often ask my patients, “If you have tinnitus but don’t hear it, do you still have tinnitus?”. I won’t go into the details of how the program works here today, as you can go to their website and get a full overview yourself, but I do want to share a few more patient stories with you. Each is a real patient (names were changed), with significant tinnitus, who found comfort, relief and control utilizing the Oasis. Vicky Week’s tinnitus started immediately after a bike accident. Prior to that she never had tinnitus, and had no more than a slight hearing loss. You can see by her Tinnitus Reaction Questionnaire that it affected her ability to sleep almost all of the time. She said the high-pitched ringing was always there, and that she noticed it 70% of her waking hours, and it bothered her 70% of that time. She considered the tinnitus to be sever, and it was adversely affecting her ability to enjoy life. Her ENT doctor told her that there was nothing he could do for her. She was distraught. After all medical issues were ruled out, she was found to be a perfect candidate for Neuromonics Oasis treatment. Slowly, over the first two months of treatment, she began to notice a change. While her tinnitus continued to affect her ability to sleep, she now heard it only 30% of the day, and it only bothered her 20% of that time. She was very happy and stated that if this was how it was going to stay she was satisfied. But that was not how it was going to stay. After about five months of treatment, her tinnitus was reduced to “almost nothing”. She was only aware of it 10% of the day, and it barely bothered her when she did hear it. Only some nights, when it was very quiet, was she more aware of it. She now wears her device only when she notices the tinnitus on some nights. Most of the time she is blissfully unaware of the sound that once tormented her daily. Peggy Crower first noticed her tinnitus while preparing to go to bed one night. Within a week, the “power line” like static became louder and louder over the next two weeks. Bother her primary care doctor and her ENT physician had not answer for her. She found our office on the internet and came in for a second opinion. According to Peggy “My tinnitus makes me feel trapped and claustrophobic at times, and somewhat depressed at other times.” She did have a hearing loss, but it was not enough that she need to wear hearing aids. After ruling out any medical solutions, we agreed that the Neuromonics Oasis was her best hope for treatment. When she began her treatment, she considered her tinnitus to be of moderate severity. She noticed it 75% of the day. She was afraid that it would eventually take over more of her life. Just three weeks after beginning treatment she noticed her tinnitus only half the time that she previously did. And it hardly bothered her at all when she did hear it. She felt in control and her confidence began to return. At the end of her treatment (about seven months after starting), she heard her tinnitus only 5% of the day, and it never really bothers her at all. “I’m so thankful. You’ve helped me so much! I use the Oasis now only as needed, if my tinnitus returns for a visit now and then. Hardly at all.”. Edward Dolton Walked into our office with his wife, unsure of what to expect. He had read all there was to read on the internet regarding tinnitus, and was sure that I was going to tell him the same thing that his doctor and ENT surgeon had told him. That the medical issue that had damaged his middle ear is want caused his tinnitus, and that he would just have to live with it. In fact, Mr. Dolton told me that when his doctor told him this, it triggered a feeling of anxiety and hopelessness. He couldn’t imagine going through day by day with this “high pitched tea kettle sound” in his ears. His TRQ showed that the sound was making him feel panicky and tormented almost all of the time. He felt hopeless. He had little hope, but was willing to try anything. After a thorough tinnitus assessment and a hearing aid trial to see if that would help, he agreed to try Neuromonics Oasis. By the time our eight-week appointment came around he noticed “a dramatic benefit”. His severe tinnitus was now only mildly obtrusive to moderate at times, and he only heard it about 30 % of the day. You need only look at his TRQ for that visit to see how much his life was improving as he gained more and more control over his tinnitus. And the benefits just continued to manifest. By his sixteen-week appointment the amount that he heard his tinnitus was half of what it was after his eight-week appointment. He now was only aware that he had tinnitus 15% of the day, and it rarely bothered him. He was now in control. Tinnitus was no longer taking over his life, it was just a small and insignificant part of it. I would like to tell you how well Mr. Dolton was doing by the time his therapy ended, but he was so unbothered by it at that point that he never returned. A follow-up phone call confirmed this. “I’ll come back if I need to. But as of today, tinnitus is no longer a part of my life”. There are more stories I could share. Other patients with just as much benefit, some with less. Do I use other treatments for my patients? I certainly do. But when fit appropriately, the Neuromonics Oasis can be a real solution to what is often a devastating problem. Since seeing Mr. Grand all those years ago, I have dedicated myself to helping patients find the best solution to their tinnitus problems. It has become my life’s work, my passion. And while many of the patients I see are treated with other methods, the Neuromonics Oasis treatment program has proved very successful. There are no guarantees, but there is hope. Dr. Jenkins is Colorado’s first Board Certified Doctor of Audiology. 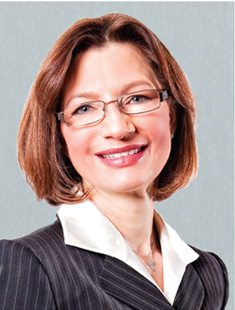 She has more than twenty-five years of hospital and clinical experience treating tinnitus. Patients from all over the country and around the world have come to see her for hearing and tinnitus care. Her office, Advanced Audiology, was recently honored as the most Ethical Small Business in the Denver Metro area by the Better Business Bureau.